Right-click a file/folder and click Delete. Warning : All files/folders deleted from within folders in Thru Side Panel will be permanently deleted from the Thru server. 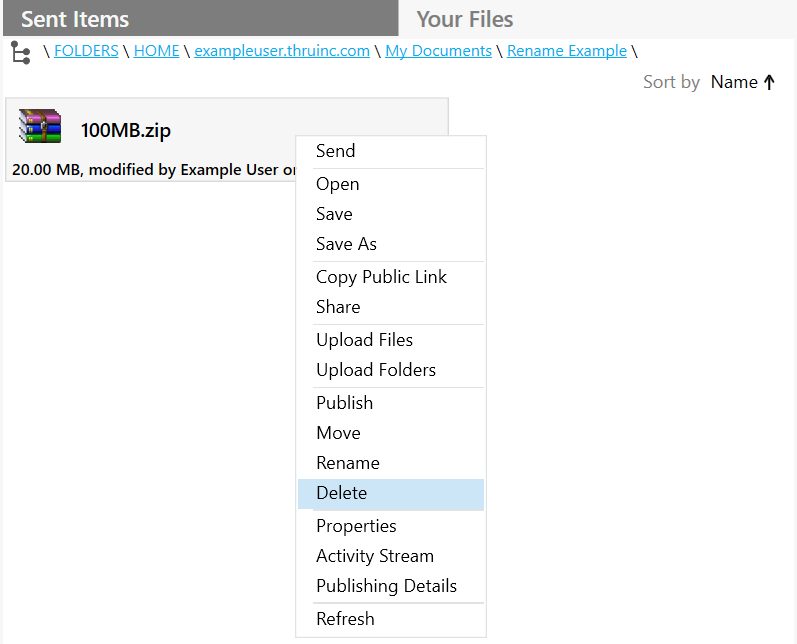 You will be asked if you want to permanently delete files/folders every time you attempt a deletion.